Law firms are appealing and sought-after targets for cyber criminals for three reasons. First, law firms have large amounts of sensitive and confidential information that can be valuable. Second, law firms tend to have large sums of money in their bank accounts. Last and not the least, relative to their clients and based on anecdotal information, law firms tend to have weaker security protection on their networks and systems. Cybercrime is a real and present danger for law firms. 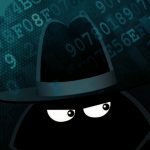 The articles below will help you understand cybercrime exposure and take steps to reduce the likelihood you will experience a data breach at the hands of cyber criminals. There has been huge growth in cybercrime attempts against lawyers and firms, who must now be on guard against bad cheque frauds, phishing, funds transfer frauds and attempts to hack firm information. This fact sheet will help you spot the red flags of common online frauds. 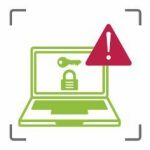 Does your firm need cybercrime insurance? The cost of a cyber-breach goes beyond the financial losses of stolen funds, damage to equipment and lost income. There is also the damage to a firm’s reputation and the loss of confidence of its clients. With many insurers now offering cyber risk policies, firms have many options to tailor a policy to their specific needs. The financial and reputational damage of a cyber-breach to both clients and law firms can be severe. Clients are increasingly demanding to know what cybersecurity safeguards firms have in place and making it a condition of doing business. To meet this need, a number of data protection services have emerged that allow companies (including law firms) to outsource their cybersecurity. LAWPRO encourages all law firms to make dedicated and ongoing efforts to identify and understand their potential cybercrime vulnerabilities, and to take steps to reduce their exposure to cyber-related dangers. 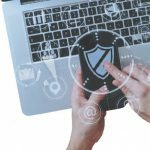 This article reviews the specific cybercrime dangers law firms need to be concerned about, and how they can mitigate their risks. 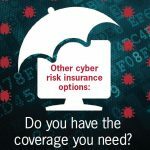 LAWPRO mandatory insurance program includes coverage in the amount of $250,000 for losses related to cybercrime. This sublimit of coverage provides a modest “safety net” for lawyers in the area of cybercrime exposure. This article explains how the decision to offer cybercrime coverage was arrived at, and how this coverage can fit into a wider firm strategy to protect against the serious consequences of a cyber attack. Click to see all of our cyber danger related articles from LAWPRO Magazine as well as books on these topics available in the practicePRO Lending Library.